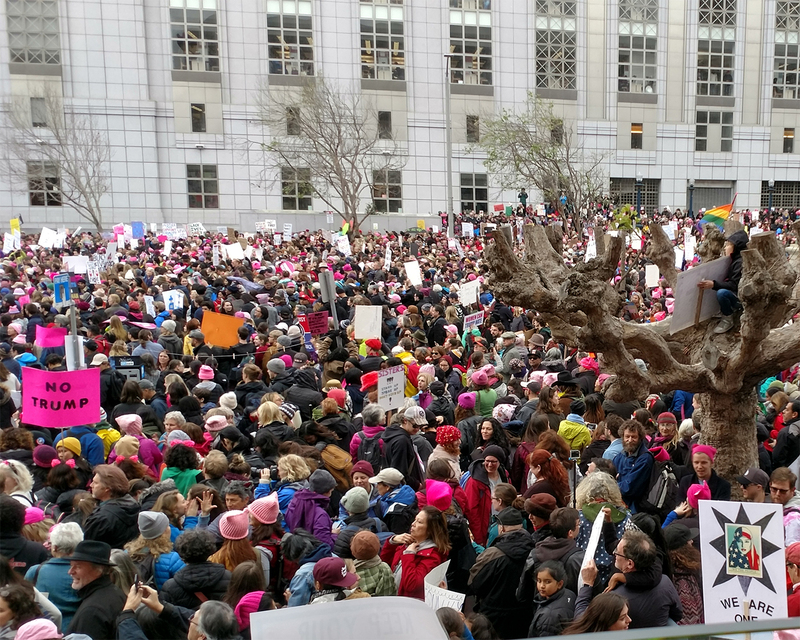 This last weekend, I had the honor of speaking at the San Francisco Women's March. It was an amazing event with an unbelievable turnout, estimated to be between 100K - 150K people. I have never seen a crowd that big before. The speech I gave was called Empathy Politics - you can read it via the link. It's on Medium, so the more "hearts" it gets (icon at bottom of the page), the more likely it will appear on other people's Medium feeds. Part of the speech explains why we can defeat Trumpism, because we are the majority in this country. The second half counters recent debates about "Identity Politics" (which I re-frame as "Empathy Politics"), which I believe should be an important part of social justice activism moving forward. You can listen to a live recording of me giving the speech, which I have made available on my Patreon site - it is a public link (not all of them are). If you like it, please consider supporting me there! Finally, The Bay Area Reporter interviewed me and other March speakers about our participation in the event. 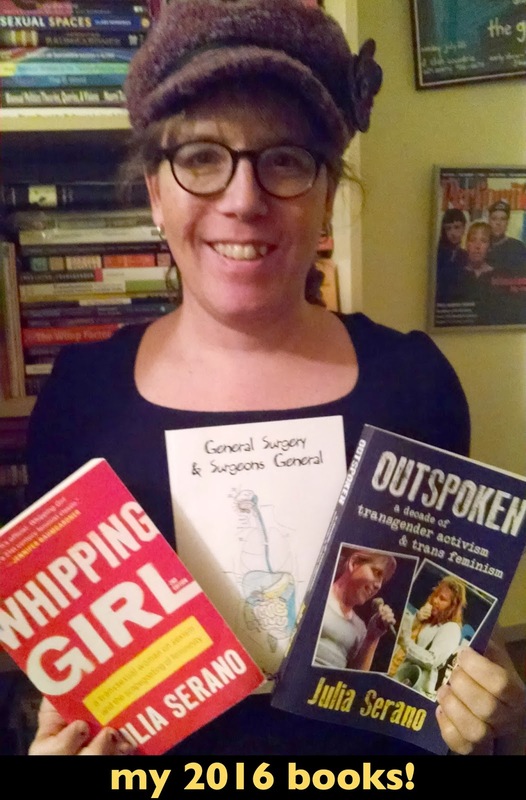 As you may (or may not) know, at the end of 2016, I released my third book, Outspoken: A Decade of Transgender Activism and Trans Feminism. It's a collection of forty-eight chapters spanning the last decade-plus, including my early slam poems and spoken word, essays and manifestos written contemporaneously with my previous books Whipping Girl and Excluded, plus my recent writings addressing differences within trans communities and activism. If you are a writer and/or run some sort of zine, podcast, website, etc., and are interested in potentially reviewing the book and/or interviewing me about it, feel free contact me and I can try to get you a copy!